Oregonians love the great outdoors, and while there are lots of iconic destinations throughout the state, there are also plenty of spots right here in Wilsonville, OR where you can enjoy the fresh air—including those on this list of the best parks in Wilsonville, OR. 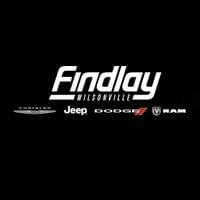 Check them out, and count on Findlay CDJR Wilsonville for deals on new vehicles! Wilsonville Memorial Park – Located on the north side of the Willamette River, this central park sits on 126 acres and includes athletic fields, trails, an off-leash area for dogs, and a playground for the kids! Murase Plaza Park – This park includes an amphitheater with seasonal entertainment, as well as picnic shelters, a water recreation area, and playgrounds. Boones Ferry Park – Home to the historic Tauchman House, which was owned by the operator of Boones Ferry, this wooded park includes a pedestrian path, picnic tables, playground, and gazebo. Find out everything that’s going on around Wilsonville along with the latest auto news with the Wilsonville Jeep Ram blog. And when it’s time for a new vehicle, remember to apply for financing here and get a deal on your trade-in!